Facebook and Microsoft are seeding a new $50 million investment fund to create profitable business models for energy access microgrids in areas of the world that lack electricity. Launched April 3, the Microgrid Investment Accelerator (MIA) will initially focus on projects over 5 kW in India, Indonesia and East Africa. Alexia Kelly, CEO of MIA, said investors perceive energy access microgrids as high risk because little data exists about such projects. “If you are trying to understand where your investment opportunities are in energy access microgrids, it is incredibly difficult to make an informed investment decision,” Kelly said an interview Monday. To that end, the fund intends to make data public where possible, as it tests and demonstrates commercial business models that can be expanded into other markets. And while MIA hopes to attract developers with a clear path to profitability, it also recognizes that “this is not a market that is going to be a slam dunk investment overnight,” Kelly said. MIA will issue its first solicitation to developers for pilot projects this year, and offer funds at scale in 2018. The investment fund offers both equity and debt at the corporate and project level for renewable energy microgrids. 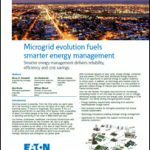 Recognizing the customized nature of microgrids, MIA is open to a broad range of project types and is not adhering to a strict definition of ‘microgrid’. 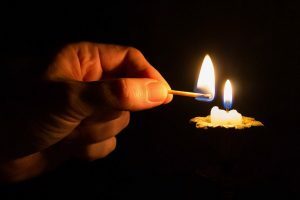 However, as a threshold the projects must help overcome lack of access to electricity, a problem for 16 percent of the world’s population, about 1.2 billion people, according to the International Energy Agency. The fund hopes to raise $45 million by the end of this year, with $20 million for India, $15 million for Africa and $10 million in Indonesia. MIA emerged out of Allotrope Partners, a boutique California investment firm acting as a founder along with Facebook and Microsoft, which provided an undisclosed amount of seed capital. Other partners also are expected to join, Kelly said. “Distributed renewable energy microgrids hold significant potential as a key driver to increase energy access for un-electrified populations. We designed MIA to address this need and to increase private sector investment flows into the microgrid market segment,” said Marc Stuart, founder and CEO of Allotrope Partners. To de-risk private sector capital, the fund operates under a hybrid non-profit/for profit structure. This allows MIA to mobilize grants and concessionary capital from sources that agree to sacrifice some financial return for the sake of societal good. The investment fund is particularly interested in project developers and models that are new to the scene. The initiative hopes to attract energy access microgrids that incorporate commercial end users into business models. MIA foresees partnerships for productive end uses of energy (such as agricultural equipment and household appliances) and with accelerators and incubators, other financial intermediaries, and larger institutional sources of capital. The fund launched at the “United Nations Sustainable Energy For All Forum” on Monday in Brooklyn, NY. The UN says the current pace of power project development will need to double to achieve universal electricity access by 2030. Meanwhile, the International Renewable Energy Agency estimates that 50-60 percent of the needed generation will come from off-grid sources. For now, the fund is focused on parts of the world that lack access to electricity, but Kelly did not rule out eventual investment in developed economies, where she sees strong potential for microgrids designed for critical services, grid resiliency and climate resilience. In addition to the founding partners, MIA includes several implementing partners, among them: cKers Finance in India, CrossBoundary Energy in Africa, California Clean Energy Fund (CalCEF), Electric Capital Management, Morrison & Foerster, and GivePower. The formation of MIA is the latest in a recent round of announcements about microgrid investments. Texas-based Crescendo Power announced $30 million in equity financing for projects in the United States. NY Prize added $50 million in Green Bank financing for its eventual winners. Microgrid and transmission developer Anbaric formed a $2 billion joint venture with the Ontario Teachers’ Pension Plan. And Texas microgrid company Enchanted Rock (ERock) won $10 million in institutional financing from Energy Impact Partners (EIP), a consortium of global utilities. Track news about microgrid financing by subscribing to the Microgrid Knowledge newsletter. It’s free.